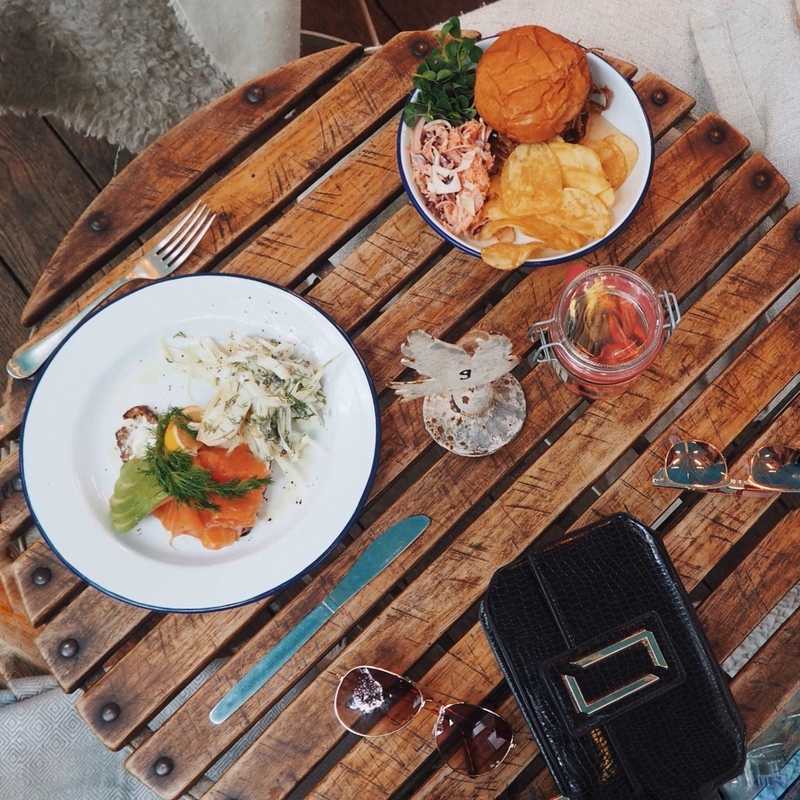 3 INSTAGRAMMABLE & YUMMY PLACES TO EAT IN LONDON. 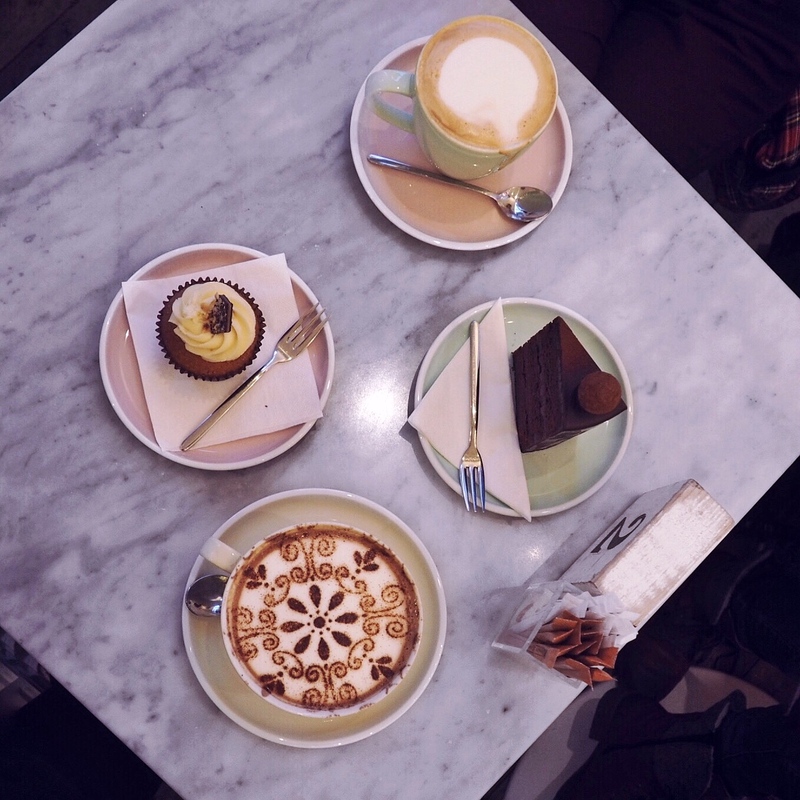 While on my last trip to London, I got to visit some v Instagramable places to eat that I'm sure you recognise from the gram, here's a lil post on what I thought of them and some more deets.. Location: 116 Ebury Street, Belgravia, London. 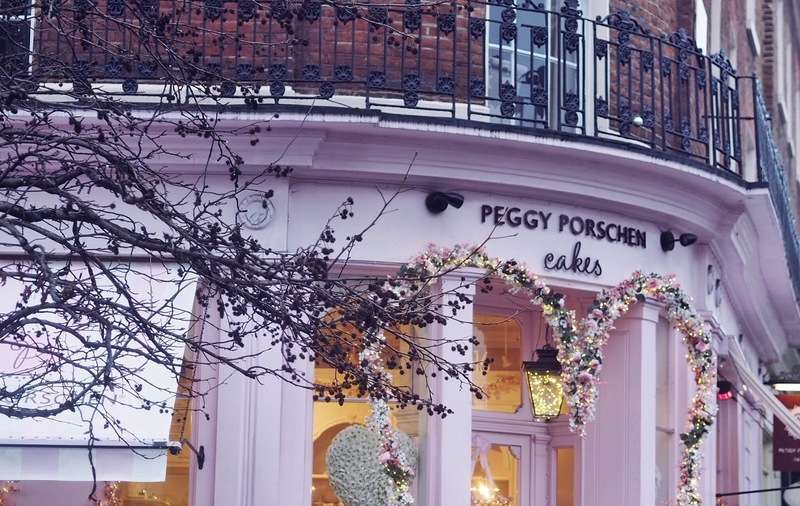 I'm sure many of you have come across Peggy Porschen Cakes on Instagram already, it has a massive following and for good reason! 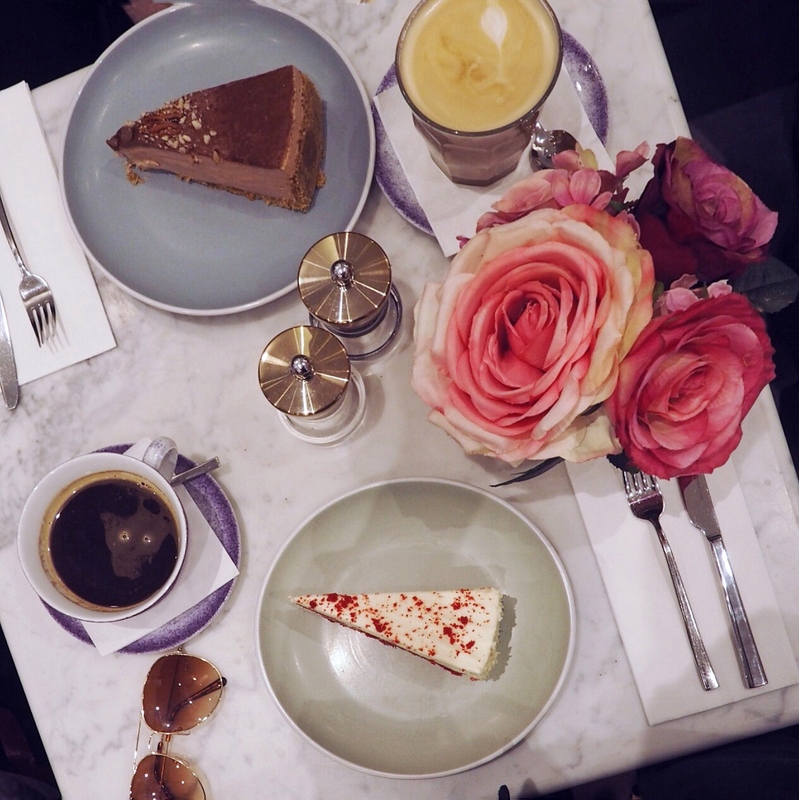 It is Instagram heaven, with its' pretty pink and floral themed decor, marble topped tables and sweet treats that are prettier than I'll ever be. Due to it's popularity we did have to que (which we expected) but only for like 15 minutes, so we certainly ain't gunna complain about that. While we were queing we got a front row seat of all the people stopping to get pictures under their fabulous floral heart archway above the entrance door (doing it for the gram). What we ate: I got the Vanilla Salted Caramel Cupcake and ohhhhhh my goodness was it good, ugh my mouth is actually watering thinking about it, like I'm not exaggerating when I saw it was perfection. I also had a hot chocolate, it was such a massive cup topped with a v instagramable design, it wasn't the best hot chocolate I've ever had tbh but it was still decent. Eimear (eimygmakeup) had a slice of the Chocolate Truffle Cake, it was v v good and a generous slice too! She also had a Caramel Latte, her go-to. 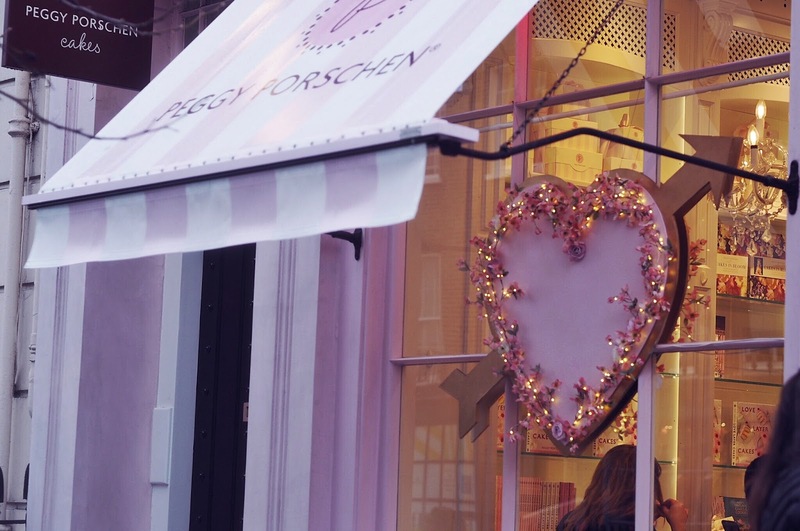 Follow Peggy Porschen on Instagram HERE. 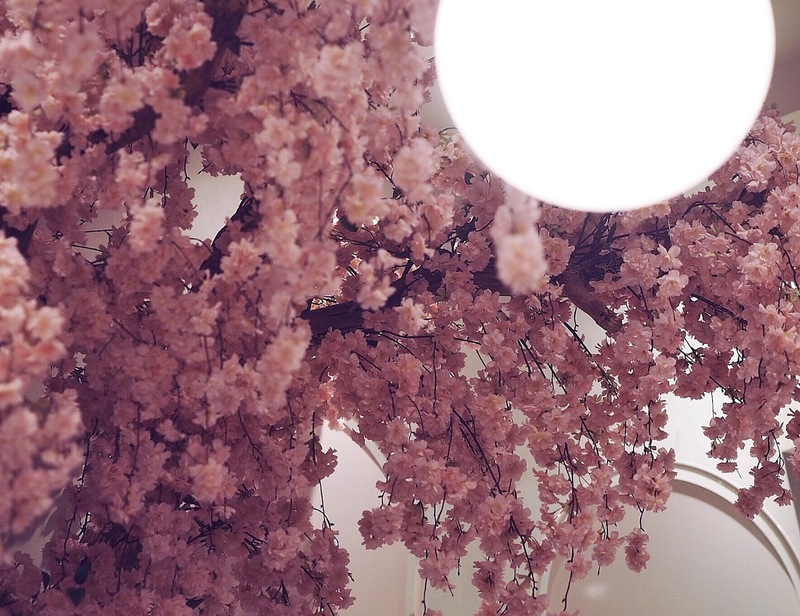 Élan Cafe is another Instagram superstar and is best known for it's flower wall. Elan is decorated with floral features everywhere and marble topped tables with gorge velvet seating and gold metal finishings on the furniture, any Instagram lovers dream tbh. Unfortunately we didn't get sitting by the flower wall but all was g as the decor is just beaut regardless, we also didn't have to que so I'd say we were very lucky in that sense as I would imagine not queing to get into Elan is a rare occurrence. 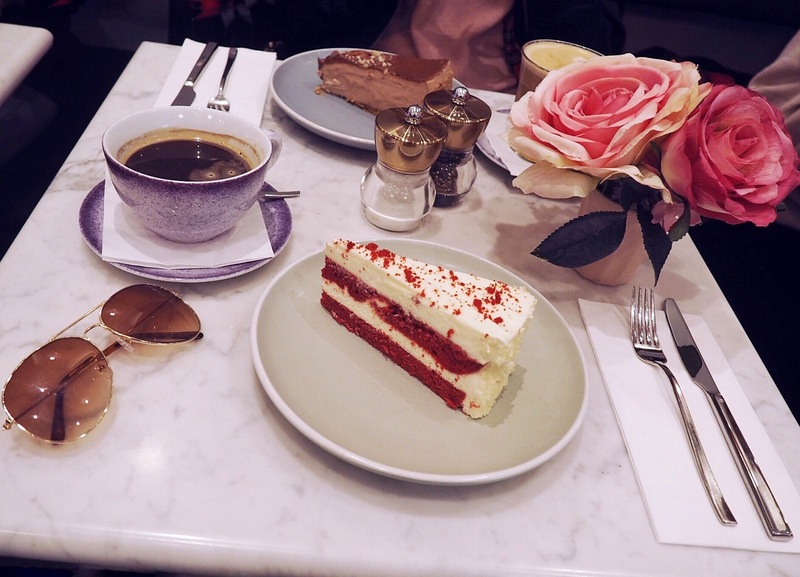 Elan offers both sweet and savoury dishes but we of course, opted for a sweet treat.. when in Rome and all of that..
What we ate: I had a slice of the Red Velvet Cheesecake and I know I said the cupcake was perfection previously but this actually was too, it was so so yum. Cheesecake is always my go-to cake and this one did far from disappoint. I had a good oul reliable Americano also. Eimear had a slice of the Nutella Cheesecake and OMG it was amazing also, it was so melt in the mouth, 10/10 would recommend to a friend. She also had her regular, a Caramel Latte. Follow Élan Cafe on Instagram HERE. Eimear had actually spotted Brompton Food Market online while looking up places to eat but we hadn't actually planned to go as we didn't realise we would be anywhere close to it and as we were wandering the streets, we actually stumbled across it so took it as a sign that we needed to pay it a visit. Brompton Food Market is an independent deli, cafe and grocer all under one roof. I love the rustic, modern decor of this place with plants galore which are always a fave Instagram feature. 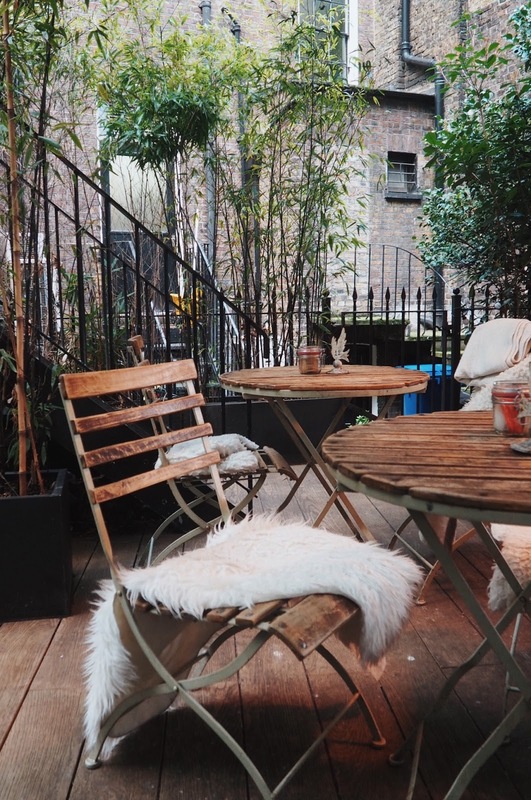 We sat outside in their Hidden Garden and you honestly wouldn't think you were in the city of London as it's so peaceful out there, they even have blankets placed on the seats to keep you nice and cosy. What we ate: I had the Open Smoked Salmon Sandwich on pumpernickel with fennel & caper remoulade, avocado & cream cheese. I found a new love for avocado while in London (I know I'm late to the party) and I really like smoked salmon so this was an obvious choice for me, I had no idea what fennel was but also discovered I love that along with pumpernickel bread. So overall, I was delighted with my choice, it all tasted so fresh and was super tasty! Eimear had the Slow Cooked BBQ Pulled Beef Brisket served on a toasted brioche with BBQ sauce, coleslaw and crisps. I didn't have a taste but she gave it an A1. Follow Brompton Food Market on Instagram HERE. IRISH FASHION INNOVATION AWARDS 2018.